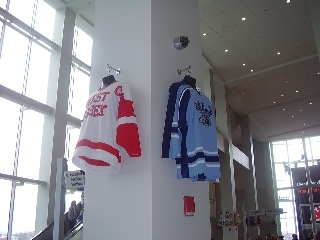 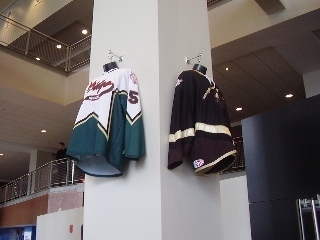 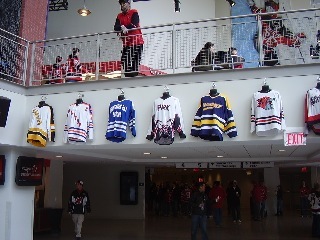 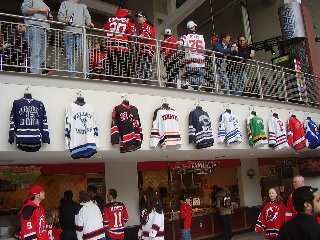 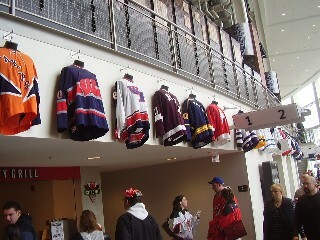 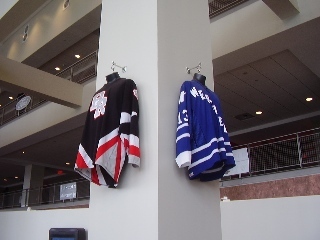 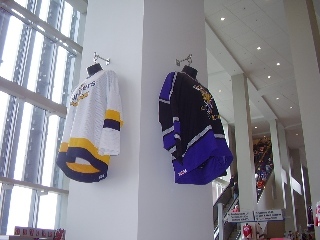 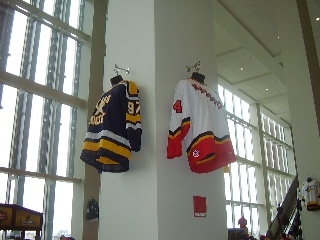 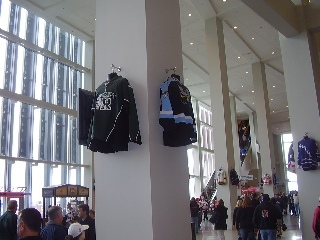 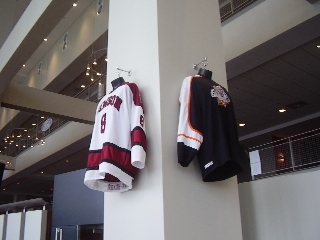 Among the exhibits are the high school jerseys hanging all along the walkway. 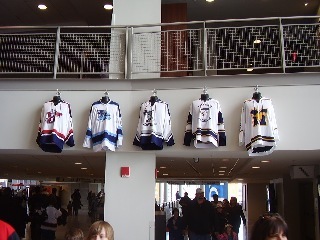 moved there and how it has grown. 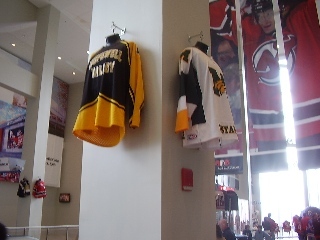 NJSIAA had split the championship classes into Public and Parochial schools. 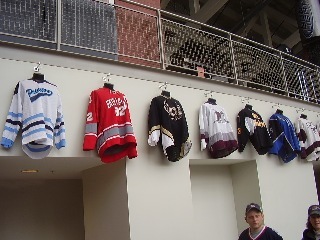 Beginning in 2007-08, the Public class was divided into Public A and Public B.
that was in attendance to sign. 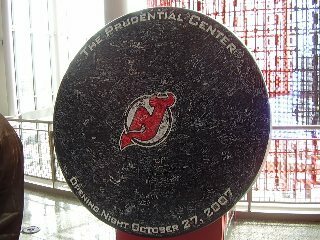 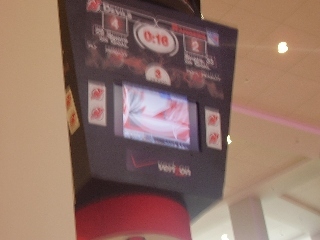 That puck is still on display on the concourse. 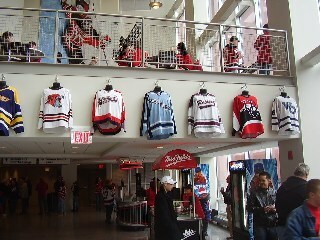 Murphys on my mind at the time.